OCTOBER 2017, HIGH POINT, NC – Exotic Zebrawood veneers combine with dramatic forms and eye-catching materials like Black Galaxy Granite and Crystal Stone Alabaster to create a stunning contemporary statement collection in Equinox by Marge Carson. 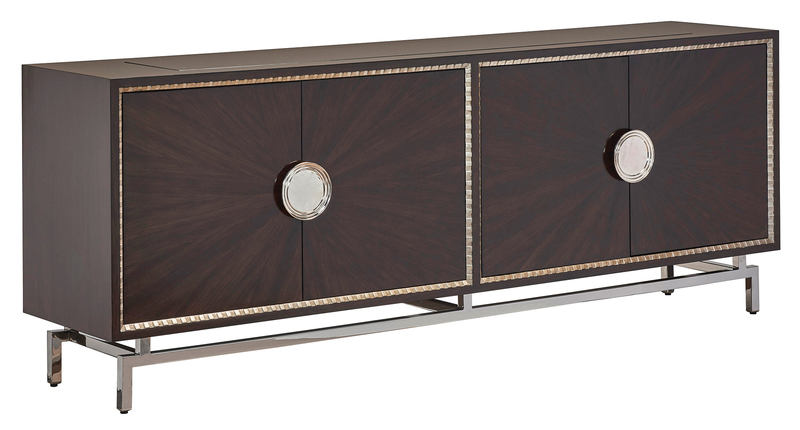 The sparkling metal accents, combined with the patterned veneers, exude a contemporary elegance in the 21-piece bedroom, dining and living room Equinox Collection. It will be shown in three finishes: the medium brown Contemporary Briar; the dark, rich, deep brown Bombay; and Slate, a more casual gray tone. The option of either brown or gray finishes, along with a choice of hardware in polished nickel, satin brass or a combination of the two, allows the collection to be interpreted in a variety of ways. 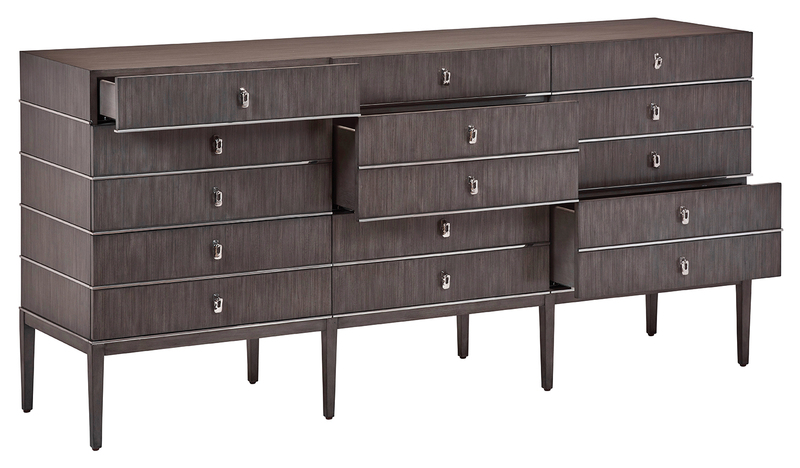 The brown finishes and satin brass hardware achieve a warmer, more formal presentation, while a cooler, more casual look is achieved with the Slate finish and polished nickel hardware. Bordered in Crystal Stone Alabaster or Antique Mirror that flows over to the table apron, this dramatic dining table showcases the radiating beauty of Zebrawood veneers. Simple wooden tapered legs are joined to the top with polished stainless steel or satin brass brackets. The sunburst pattern of the radiating stainless steel or satin brass rods on the two wood-framed glass doors inspired the name for the Equinox Collection. The paneled case frame is stabilized by two stainless steel or satin brass stretcher bars, which terminate on the exterior of the base panels. A selection from one of our leaf finishes is used on the back panel to provide a touch of contemporary elegance. 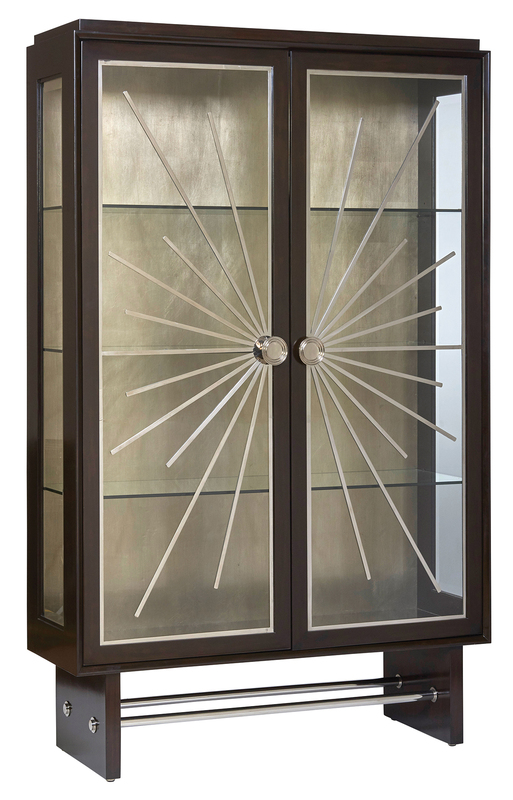 This timeless contemporary case form features 4 doors with radiating Zebrawood panels framed on the surrounding case by bead moldings. Dramatic round solid brass pulls finished in Polished Nickel accentuate the case front, while polished stainless steel or satin brass lightens and contemporizes the base. 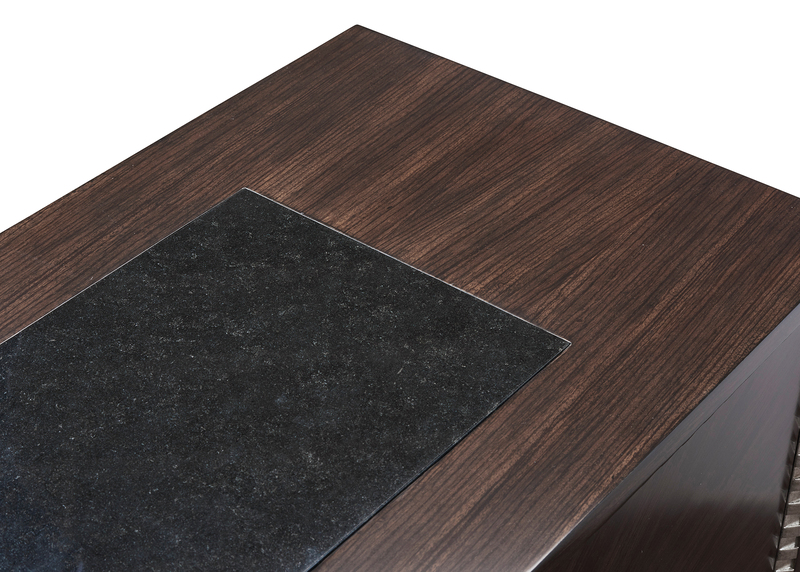 Inlaid Black Galaxy Granite enhances the serviceability and visual impact of the top. 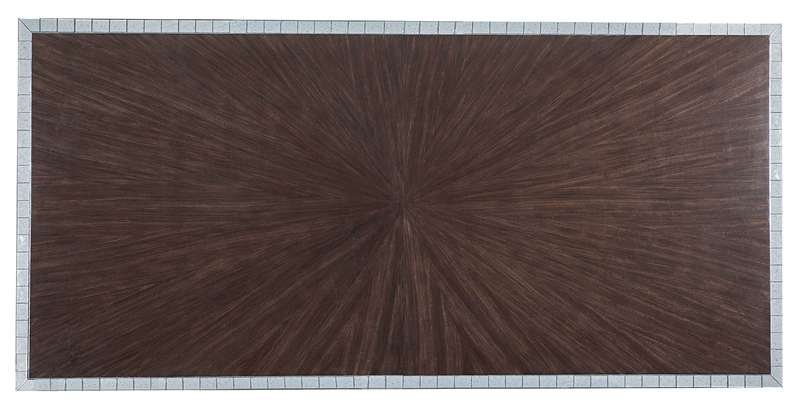 The sculptural Zebrawood body of this unusual form is bisected by a stainless steel or satin brass panel, visible from top and side views. This inviting upholstered bed features a 72-inch tall headboard with channeled fabric. The bed is uniquely constructed using a post and beam technique.  The horizontal beam that supports the upholstered panel terminates in a decorative stainless steel or satin brass cap that is tenoned through the upright post. 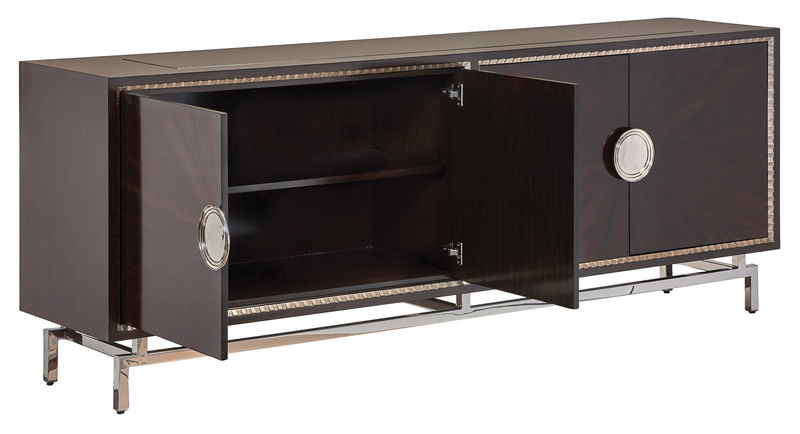 The 16-inch tall footboard and side rails are veneered in vertically-laid Zebrawood. 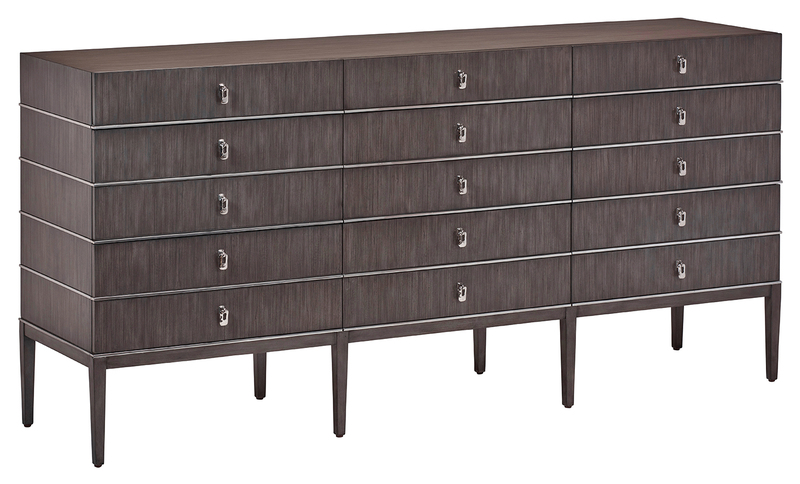 Each horizontal row of the nine Zebrawood veneered drawers is separated by stainless steel or satin brass parting rails, greatly enhancing the contemporary appeal of this important storage piece.